Located at over 10,080’ above sea level, Saddlebag Lake feels like you’re on top of the world. 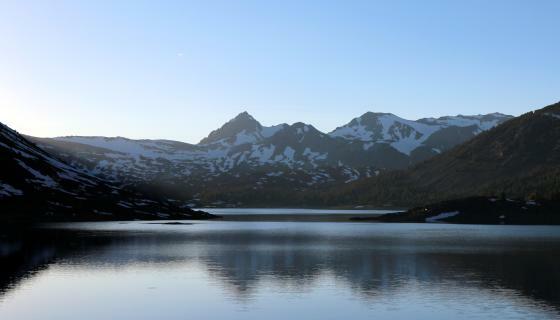 The rather barren landscape may not seem like it has much to offer, but the lake is a hub surrounded by some of the best fishing and hiking in the Eastern Sierra. Essentially just around the corner from the Tioga Pass entrance to Yosemite National Park, Saddlebag Lake was created in 1919 and is the highest drive-to lake in the region. While the lake itself offers solid fishing and hiking, limited in part because the high elevation makes the season there shorter than elsewhere, the waters that lead to and from the lake are world class. A water taxi provided by the Saddlebag Lake Resort takes folks across the nearly 340-acre lake for access to the spectacular 20 Lakes Basin. The basin is home to some great brook and golden trout fishing. Saddlebag Creek flows out of the dam and is home to solid brook trout fishing and great high mountain stream scenery. The expansive Saddlebag Lake and its surroundings offer plenty of space and seldom feels crowded. Directions: Take Highway 120, Tioga Pass Road, about 12 miles from the junction of Highway 395 to Saddlebag Lake Road. Follow the road for approximately three miles to the lake. The rather small Saddlebag Lake Campground is located near the dam, offers basic campsites, potable water, pit toilets and does not take reservations. The Trailhead Group Campsite is also located at the lake and is designed for groups as large as 25. 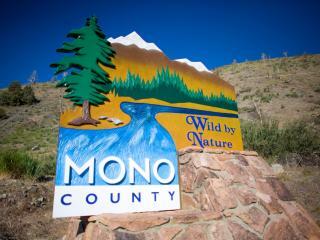 To make reservations, please go to recreation.gov or call 877-444-6777. Saddlebag Lake Resort offers cabins, boat rentals, a café, general store and a water taxi for those wishing to access the 20 Lakes Basin. For more information or to book a cabin, please check out saddlebaglakeresort.com. Trolling is the most popular way to fish the large, 340-acre lake. A trail also circles Saddlebag Lake, offering lots of shore access. The best places to fish the lake are near the inlet, the dam and in the middle of the figure eight-shaped lake, especially at Jennifer’s Point on the east side. 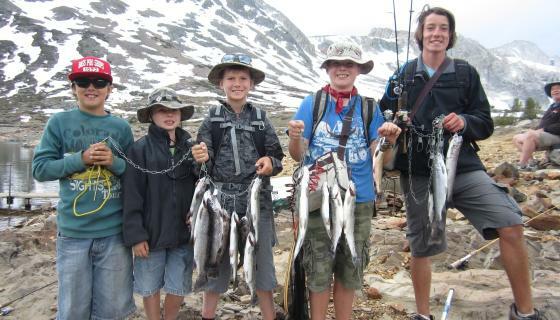 Saddlebag Lake is home to rainbow and brook trout. Fly fishers are big fans of the waters the lead into and exit the lake. Saddlebag Creek, which runs from the dam down towards Ellery Lake, is a productive small mountain stream. 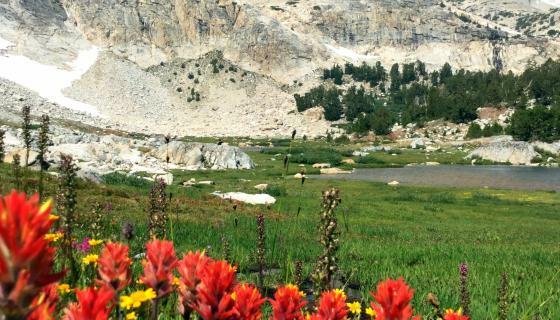 The 20 Lakes Basin above the lake is beloved for its scenery and its golden and brook trout fishing. It can be reached via the Saddlebag Lakes Resort water taxi or by following the trail that circles the lake.